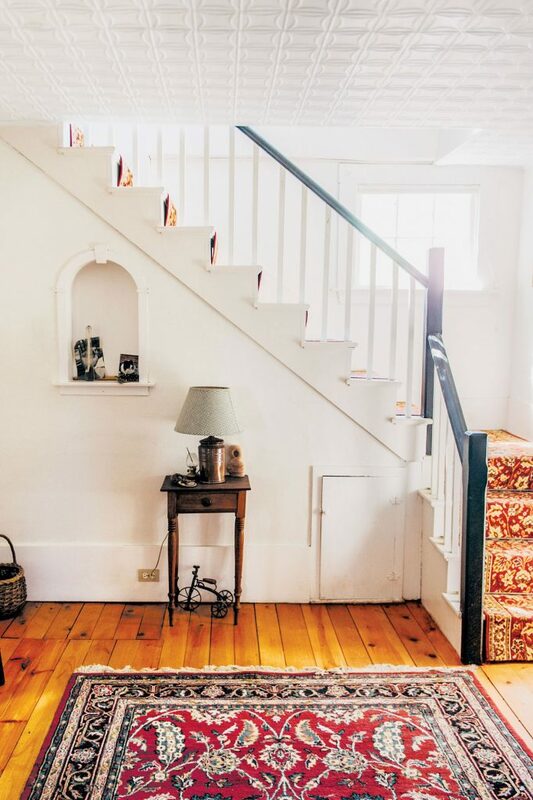 In Damariscotta, one man is carving out a country life in the heart of town. [T]hirty plump chickens and two very pregnant goats — sisters Fionna and Cake — are roaming freely around their spacious gated area in Sandy Vogels’ backyard. 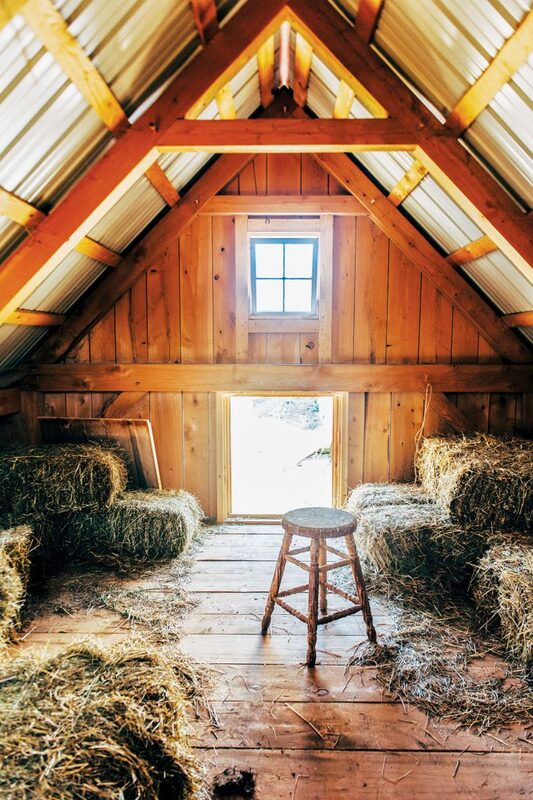 A red-roofed barn, filled with hay and nesting boxes, offers the animals respite from the sun. The scene is so quintessentially rural Maine that I can almost forget this sweet homestead, called Ephemeral Farm, is just a five-minute walk from the bustle of downtown Damariscotta. 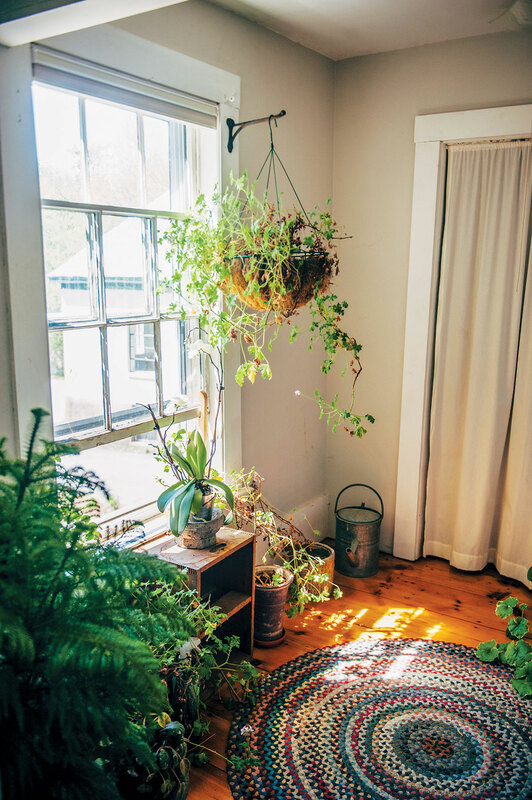 Wide-plank wood floors and abundant plant life are among the touches that give Vogels’ Damariscotta home its comforting, rustic vibe. The three-bedroom house is simple by today’s standards, but architectural details, such as the decorative tin ceiling in the entryway and wide-plank wood floors, lend it charm and character that are hard to find in new construction. The kitchen shelves above the antique cast-iron sink are lined with Mason jars filled with colorful dried beans, lentils, and peas. A large bowl full of tan, light blue, and pink eggs sits on the countertop next to a scale. Vogels has a sweet deal with his employer, Rising Tide Community Market. 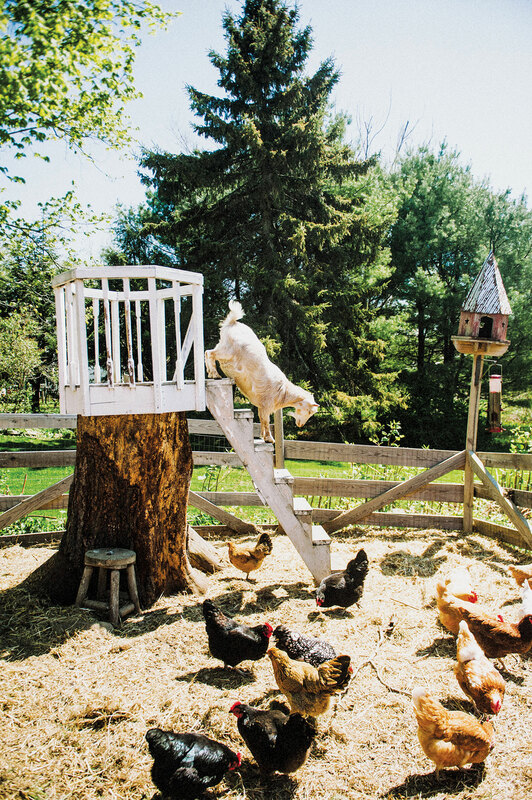 They buy his eggs — he gets about 24 a day from his flock — and he brings home food scraps for the birds and goats. Next to the refrigerator, two large containers of the milk-drink kefir are fermenting on the retro blue hutch. Plants fight for space on the end of the counter, where they lean toward the window like nosy neighbors peering out at the farm animals. More plants are gathered in front of the window in the sitting room and hang in the upstairs bathroom. The roomy entryway to Vogels’ upstairs bedroom serves as a space for yoga and meditation. Vogels leads me outside to the barn, which he built with a friend. Our feet sink in the soft, thick layer of hay covering the floor. The second story, where hay bales are stored, is warm from the sunlight streaming in the windows and radiating from the metal roof. “This is a great place to be when it’s raining,” he says. The goats, like doting pets, follow Vogels everywhere. He raised them, bottle-feeding them like babies, since they were two weeks old, and they’re about to become first-time mothers. The four nesting boxes are filled to capacity, one chicken squawking madly. “She needs to announce it whenever she lays,” says Vogels, with a farmer’s paternal, low-key pride. 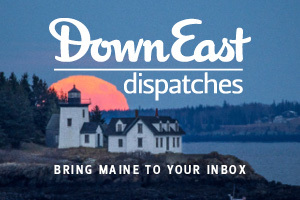 Down East is looking for homes with character that reflect what life in Maine is all about.  Click to nominate your home to be featured in Down East. 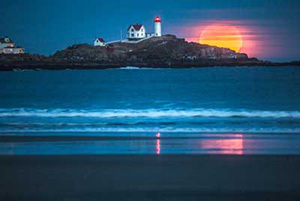 Melanie Brooks' work has appeared in Bangor Metro and Real Maine Weddings.